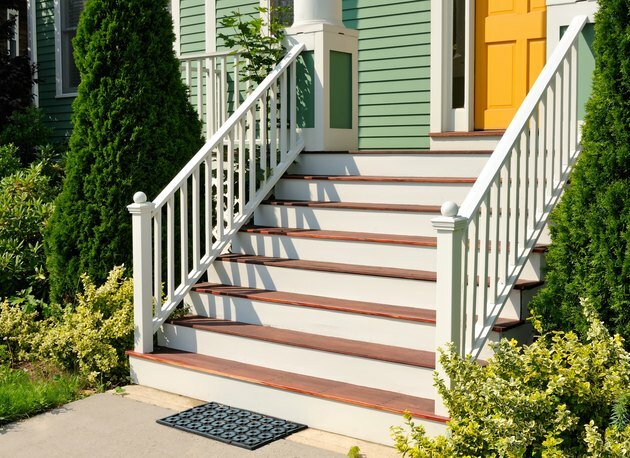 Porch steps serve a practical purpose, but they can also be a decorative element. 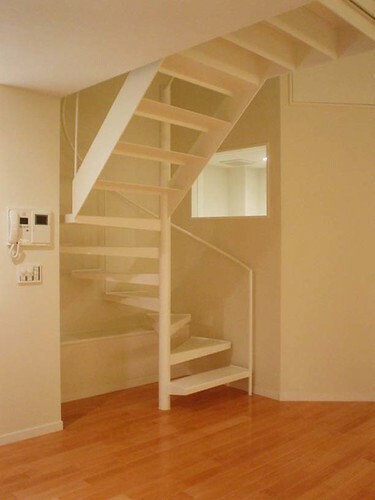 Although you could build to the minimum required width, you could also consider building your staircase much wider. Wide porch steps are inviting and allow several guests to enter the porch together. Steep porch steps with handrails. The minimum width for porch steps is 36 inches, but 48 to 60 inches provides more comfortable access. Porch steps 48 inches wide accommodate one person easily and safely; wider porch steps allow two or more people to comfortably navigate the staircase. 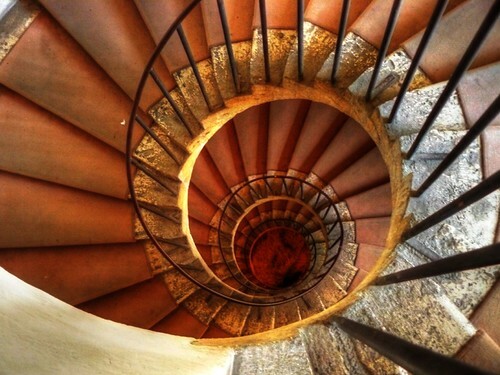 Treads, which are the parts of the steps that you walk on, are typically no smaller than 10 inches deep. This ensures a large enough space to safely walk on as you navigate each step. The risers, which are the parts that sit vertically underneath each step, should be no higher than 7 3/4 inches and no smaller than 4 inches. This height creates a step that is neither too high nor too short. In turn, this accommodates most people's natural gait. Before building porch steps, check with your local building commission. Building codes strictly enforce the measurements of porch and deck steps. Your porch steps may fail to pass building inspections if you don't follow the local code. How large and wide your porch steps will be will be partially determined by how much space you have. If you have limited space for the porch steps, you can build a slightly steeper set of steps, but the run from the top of the steps to the ground should be no more than about 35 percent. Install handrails, lighting and nonslip threads for safety on porch steps, especially if your porch faces north and accumulates snow and ice in the winter.